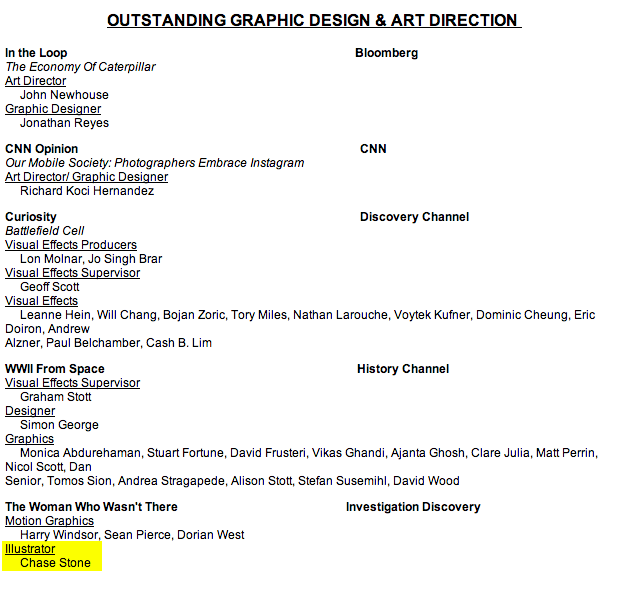 RICHARD SOLOMON ARTISTS REPRESENTATIVE: Chase Stone Nominated for an Emmy! 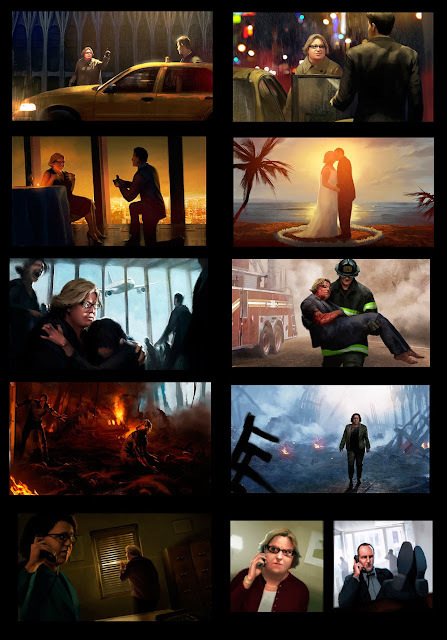 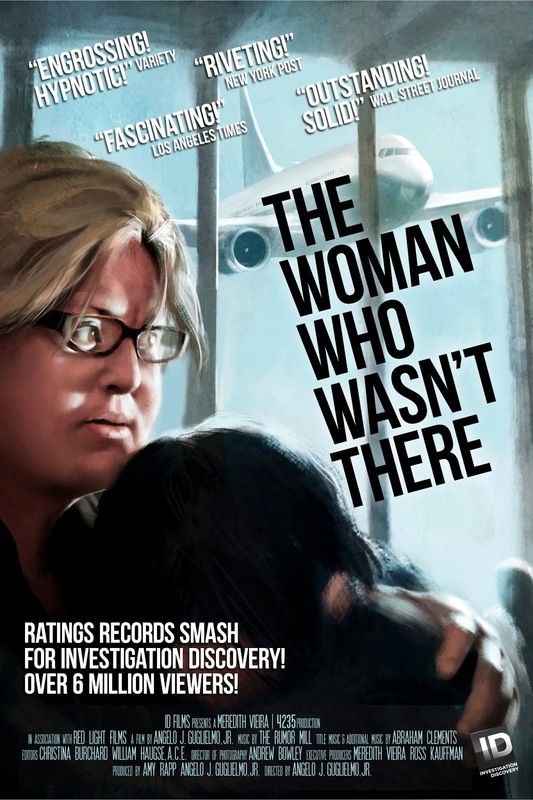 About a year ago, Chase Stone was asked to create a series of transitional images for the documentary "The Woman Who Wasn't There". 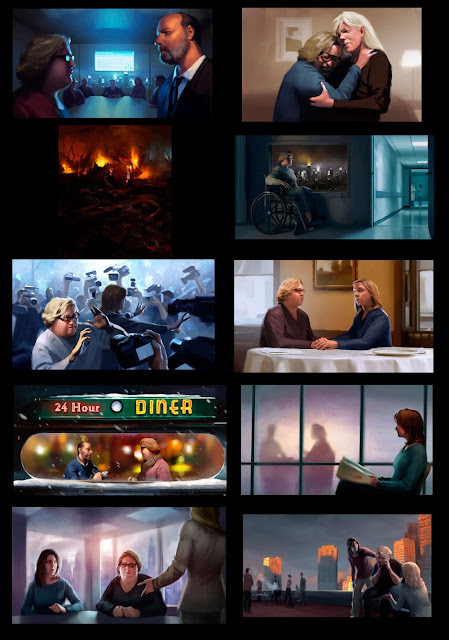 It was not an easy task; the job called for many illustrations in a short period of time and the subject matter made it controversial and challenging... but Chase nailed it. 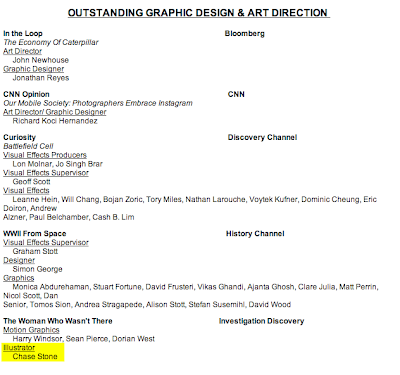 To our delight, we got a call this morning from a very happy Chase and the film's director Angelo Guglielmo, letting us know that it was nominated for a News and Documentary Emmy Award specifically for outstanding graphic design and art direction. Well that made our day (month, year...) So lets all root for this to win come award time (Tuesday, October 1 at a ceremony at Frederick P. Rose Hall, Home of Jazz at Lincoln Center, still finding out if it will be broadcast anywhere).